Tell me the last time you saw a self-induced spin from Jason Plato. Exactly, it doesn’t happen that often. It illustrated just how hard drivers are pushing, even to gain thousandths of a second. 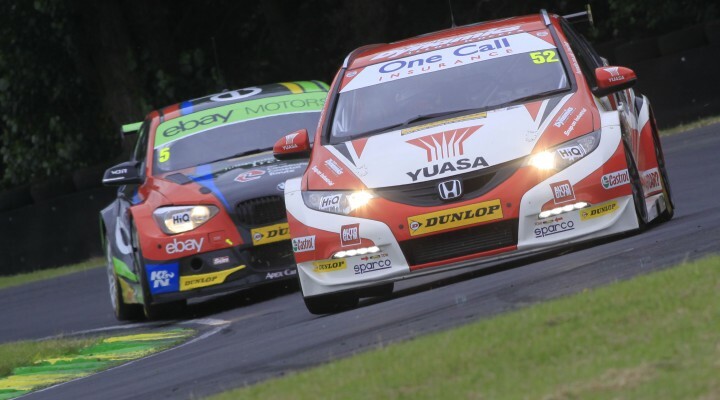 The BTCC is ultra-competitive now, make no mistake. This Moonlighting comes from the Croft media room where Colin Turkington’s pole lap has been discussed in hushed tones as the BMW was mighty once again. Eight wins have gone Turks’ way here over the years and it would be a brave man to bet against one – maybe two – wins tomorrow. Three? That’s tough but possible given the nature of Croft as it is rear-wheel-drive-friendly. Turkington is a class act and although a longer first gear for the rear wheel drive cars has to be run now, I still think the cars will have the advantage off the line. Whether Rob Collard from sixth or Rob Austin from 10th can move forward by much, we’ll have to see. And before the doom-mongers cry that the championship will eventually go rear-wheel-drive only, hang on. We are not there yet. Some circuits are better for some cars and things can all change at Snetterton. So, Turks is the man to beat, but qualifying showed us a few more things, such as Gordon Shedden and Matt Neal hustling the two Honda Civic Tourers to third and fourth, plus Andrew Jordan’s car control as he wrung the neck of the Pirtek Racing Honda Civic. Adam Morgan’s session in the WIX Racing Mercedes wasn’t as good as I had anticipated, his best efforts being interrupted by a red flag that stopped the session. Adam had a good go in the second part but it didn’t seem to hook up in the same way. I know I keep banging on about Adam as a potential winner but it isn’t happening and the team is taking a tad longer to develop the Merc than I expected. Or looking at it another way, life is so much harder this year in the BTCC because it is so much more competitive. The top 10 within a second illustrates the point, as does JP’s spin during the session. After the euphoria of Oulton Park, the Volkswagen CCs (note to self – they aren’t called Passats any more) struggled a bit today. Aron Smith could – should – have been higher up the order but for losing his best lap to track limits. Alain Menu will start ninth which puts him in the mix, and I hope that he can deliver from there as we still haven’t seen the best of the Swiss star. Nor have we seen the best of the revered Fabrizio Giovanardi who continues to struggle to adapt to the demands of NGTC touring cars. That aside, Airwaves Racing again struggled to get a good set up on Gio and Mat Jackson’s cars and they are mired in 15th (Mat) and 18th (Gio) meaning that tomorrow could be a long slog. Airwaves Racing deserves better but it seems to struggle to make progress, or even be consistent – the promise of Thruxton race three hasn’t been built on and that is a shame because the team and drivers have all won previously. There is something that is hindering the Fords. Big shame. OK, so what about tomorrow? Some people tell me that it will be akin to the races at Oulton Park, others say that it will be completely different and action all the way. I’d suggest the latter as the hairpins at the end of the lap should induce some bold moves and the corners out at the back of the circuit should spice up the action. You can overtake here, there is a greater mix of corners than at Oulton Park and also, remember a number of drivers need to score points in the championship, Andrew Jordan a prime example. So, light the blue touch paper and stand back. We have a month of repair time after race three so that should encourage them to get stuck in, plus a good grid for the opening race of the day which is full of possibilities. Predictions? After today, two wins for Turkington and one for Plato. But anything, ANYTHING, could happen. This is the BTCC after all!